We are excited to have Hotel Park City and Ruth’s Chris Steakhouse join us and the Huntsman Foundation to eradicate cancer from the earth! The Hotel Park City is a Luxurious Resort in Utah and home of the Ruth’s Chris Steakhouse. 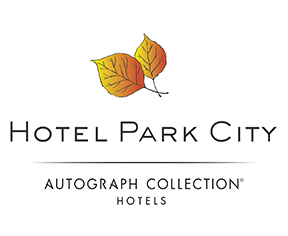 Hotel Park City invites you to discover a destination where contemporary luxury goes hand in hand with the alpine warmth and charm of an old world ski lodge. Nestled beside an 18-hole golf course minutes from the slopes, our AAA Four Diamond resort has proudly been rated a “Top Ski Hotel” by Conde Nast Traveler. We’ve also been placed in the Certificate of Excellence Hall of Fame by Trip Advisor and earned the Certificate of Excellence (TripAdvisor, 2015), a Platinum Choice Award (Smart Meetings Magazine), recognition as a “Most Admired Company” (Utah Business Magazine) and more. So it’s no wonder that the excitement of a Utah mountain town known for The Greatest Snow on Earth® and the world’s best mountain biking is just the start! Each of our 100 suites features a cozy fireplace, King-size beds, jetted tubs and a private balcony or patio with gorgeous views of the mountains, rolling golf course fairways and an outdoor pool. In the summer, mountain bike tours and rentals are available in the lobby, while our ski rental and tune-up service keep you ready for the slopes in the winter. Throughout the year, you’ll find yourself just moments from our heated mountain-view pool, the full-service spa, complimentary fitness classes and two signature restaurants – the #1 rated Ruth’s Chris Steak House in the western U.S. and Bandannas Bar & Grill – that all make Hotel Park City a fantastic place to unwind. Come spend time skiing, golfing, mountain biking or simply exploring the shopping and nightlife along Historic Main Street. Whether you’re searching for a romantic getaway, family vacation or a venue to host your next business meeting or special event, our resort guarantees an unforgettable visit!